I’ve been working to lose weight and get my body healthy in the last year, and now I’m starting to focus on food. I’m trying to eat whole foods, cleaner and less processed. Even though it seems a bit “Brooklyn” to me sometimes (you know, like eating kale), its recently become more important, particularly living next door to China. And honestly, I feel better when I eat well. I still have a mean sweet tooth, so I’m always looking for recipes that let me enjoy my cravings without falling off the wagon. 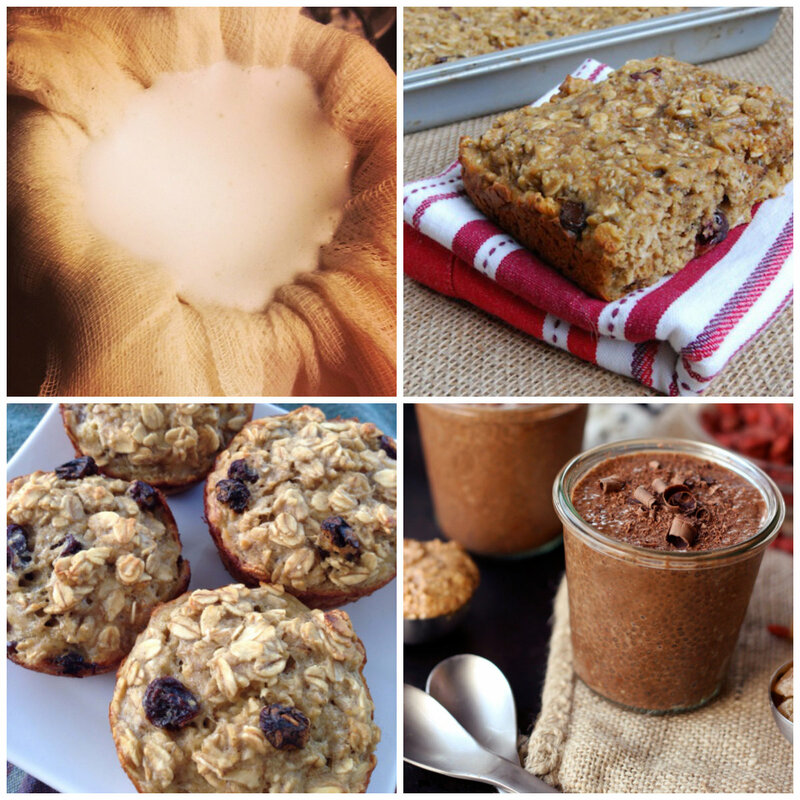 Here’s a few I’ve tried lately… and may even serve to guests! Fresh almond milk. Creamy and rich, it is so much better freshly ground. It goes bad in a few days, so it would be good to have on hand with a full house. Breakfast quinoa bars. These have a lot of ingredients, but are tasty. I’d make ‘em again. Oatmeal banana muffins. Ok, I haven’t tried these yet, but they look good! Next on the list. Chocolate Chia Pudding. I mentioned this before– while not that sweet, nor like pudding, it’s fun with fruit. Any good healthy recipes you can share? Any that have particularly loved by guests– even non-healthy ones?